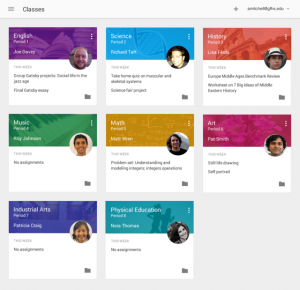 Google Classroom is a new an innovative free tools for Schools, classroom contains no ads, never uses your content or student data for advertising purposes, and is free for education. Google’s Classroom is a blend of free tools with Google Drive, Docs and Gmail all in one suite of productivity tools. Classroom not only help teacher to save time but to communicate and collaborate with student . Here teachers spend more time to teach which increase the teaching output and students get more time to learn. It is designed to make classes simplified and organized. It is developed in such a manner so that Teachers can easily create and collect assignments or homework paperlessly, which is accessible by students anytime anywhere within a click of a mouse. For each assignment you can create individual student drive folder through google drive to help keep everyone organized. Students are notify of what’s due on the Assignments page and start working with just a click. 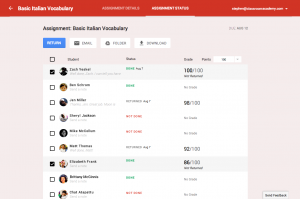 Teacher can keep track who all have completed the assignments , allow teacher to review, Provide real-time feedback and instant grades can be done right in Classroom. It also help teacher to easily communicate , encourage question and comments from students in and out of the class.It’s time-saving features like the ability to automatically make a copy of a Google Document for each student. 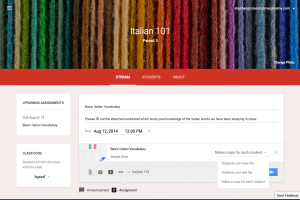 Classroom lets teachers create assignments, make announcements, and start class discussion. You can easily create assignment in Google Apps for Education , upload , download, share youtube videos and url links , schedule due date for individual assignment . 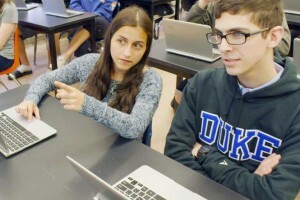 After you press “Assign,” Classroom works in the background to automatically file all assignments and class materials into folders organized in Google Drive. Teachers can share videos and post question in real time class. Allow Teacher to create paperless assignment and distribute to class within a click also to review & grade assignments and instant feedback to his student, all in one place. 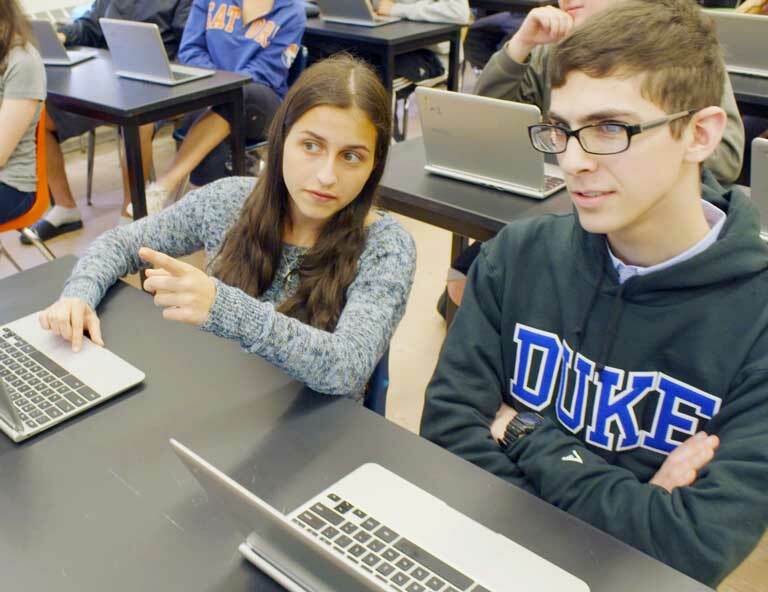 Students can access all of their assignments or homework on an assignments page, and all uploaded or shared class materials are automatically saved into folders in Google Drive. Classroom allows teachers to notify announcements and start class or group discussions instantly. Students can share resources with each other or provide answers to questions on the stream. It is free for schools , Classroom contains no ads, never uses your content or student data for advertising purposes, data is secure because individual folder and google drive is assign for each student with proper access . 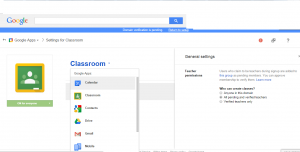 Classroom is available to anyone with a Google Apps for Education account holder only.